In the prologue to Joe Wilkins’s new memoir-in-fragments, The Mountains and the Fathers, Wilkins writes, “In story we learn to live like human beings in the dark houses of our bodies.” That is exactly what The Mountains and the Fathers does. It creates a story for how an intelligent and awkward boy grows up in the tough and barren Big Dry of eastern Montana. It’s a story of how a boy can find a home in a fatherless landscape, how a boy can become a new sort of man in the ranchlands of Montana. And that narrative is what makes this memoir stand out as a new Western memoir that creates new and much-needed myths about manhood in the West. The Mountains and the Fathers is the story of Wilkins growing up in the Big Dry before and after losing his father to cancer, of being raised by his mother, of hard days spent learning to ranch with his grandfather, and of nights spent skirting the edges of trouble in the tiny town of Melstone. In this memoir, Wilkins is not just trying to become another hard-drinking, fast driving, woman-chasing man. Though he does all of these things, Wilkins also searches for surrogate fathers to replace his lost father. And through those surrogate fathers, Wilkins learns lessons on how to be a man, how to fail at being a man, and how to escape from the traditional narrative of the Western man. In an interview with Orion, Wilkins says, “We are told to believe in limitlessness, and we try, but we crash up against reality. Then we get bitter, turn inward, look for someone out there to blame.” This memoir is the story of a new telling, of a boy-man finding his place on the plains, finding a new way to be a man of the West. But this memoir is also of and about the Big Dry. Throughout the book, the reader feels the need for water, the fear that another crop will fail, another farm will go under. We feel the smallness of Melstone. We feel the expansiveness of the Big Sky and the claustrophobia of being an awkward and book loving boy in a rough-hewn Western town. And, finally, there is the language. If you handed me a poem or essay written by Wilkins, I’d know it even without a name attached because Wilkins—who writes out of the James Wright and Richard Hugo tradition—has a voice all his own. Each sentence is a hand-built and beautiful thing just like an old homesteaders cabin is a hand-built and beautiful thing. The words at time feel old and weary. Sometimes they feel expansive like Montana’s plains. Sometimes they suffocate the reader under the weight of expectations. Other times they are so dry and barren that they nearly blow off the page. But they are always poetic, and they always sing in a voice that so few writers possess. Sean Prentiss is an assistant professor of English at Norwich University and is the author of the upcoming anthology on creative nonfiction, The Far Edges of Creative Nonfiction. Good review. So evocative. Can’t wait to read this book. Thanks for the review. Sounds like a compelling memoir. It’s on my to-read list. I love memoirs and so do a few of my friends who will get the chance to read this. “Other times they are so dry and barren that they nearly blow off the page.” That’s awesome, Sean! 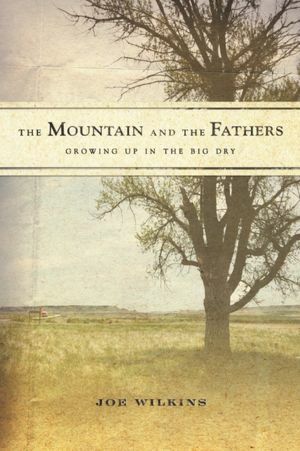 You are currently reading Memoir: The Mountains and the Fathers at BREVITY's Nonfiction Blog.